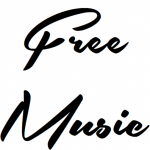 Forum | FREE MUSIC | Has it leaked? I search the internet all the time for new artists as like many of you, I find HEAPS of music where the artist has a ‘name your price’ to download a track or album, this group is for everyone who wants to find new music but wants to download that music legally too. This forum contains 1 topic and 2 replies, and was last updated by Jesse 1 year, 7 months ago. Sites to discover new music.